A mirror can bring some style to a wall when it’s designed right. Rustic mirrors are quite popular because of this as so many of the styles are suitable for different types of home decor ranging from shabby chic to luxurious and even ones to suit the garden. 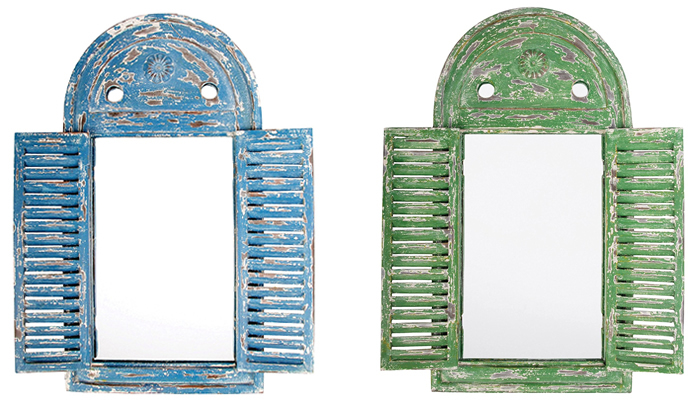 The best rustic mirrors are designed with a traditional wooden frame, an antique metallic frame or a distressed frame. 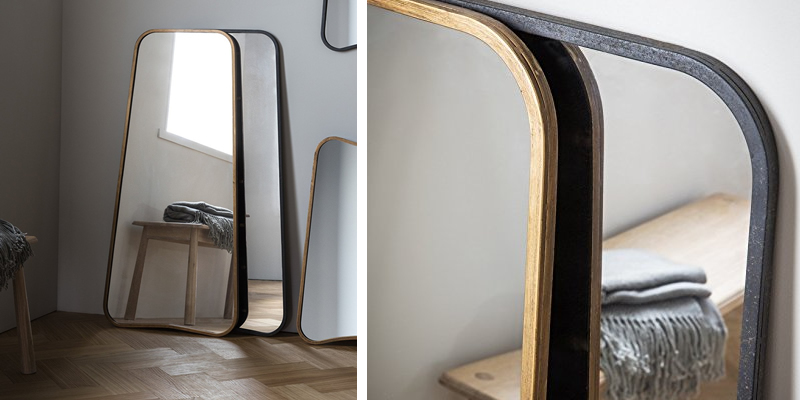 Although many rustic mirrors have a vintage look and feel to it, there are some that are quite contemporary in style. 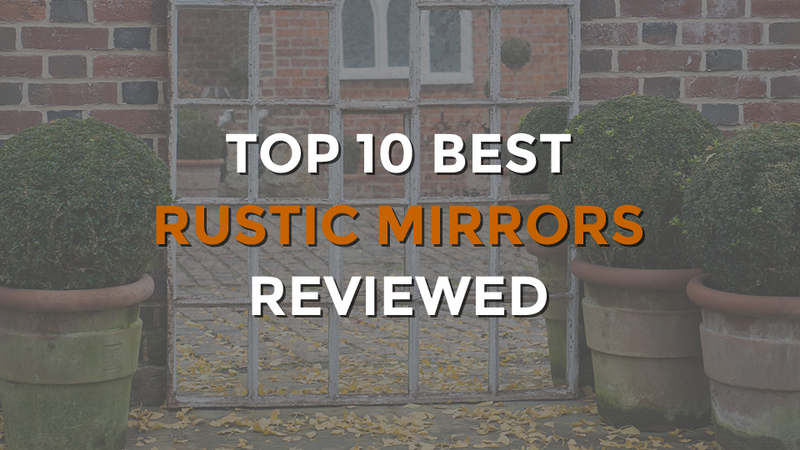 We’ve rounded up our 10 best rustic mirrors and given a short review for each one along with which type of rooms they will suit. 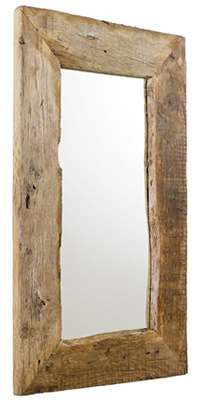 Anyone who loves a bit of a rustic style will be thrilled with this Rustic Mirror and Candle Holder by Carousel Home. Doing more than just being a mirror, it also has a nice little candle holder that can fit most standard sized candles and a particularly useful 2 hooks to hang keys or other small items on. Its rustic look is thanks to the handmade style with its driftwood style which will look fantastic in the hallway. 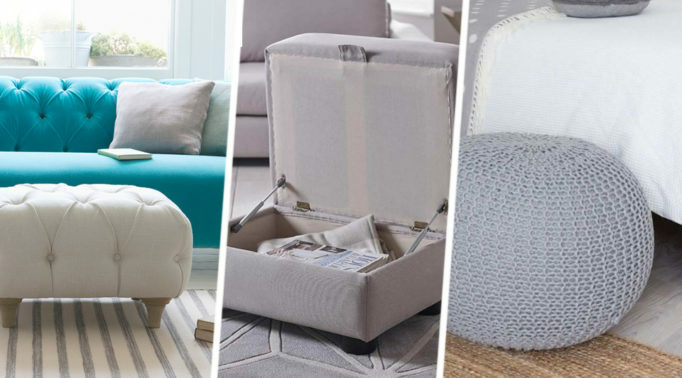 Although it’s a small size, it’s enough to give yourself a quick onceover before you leave the house and practical as it gives you somewhere to hang your keys when you get home. Inexpensive with 3 practical functions, what more could you want from a mirror. 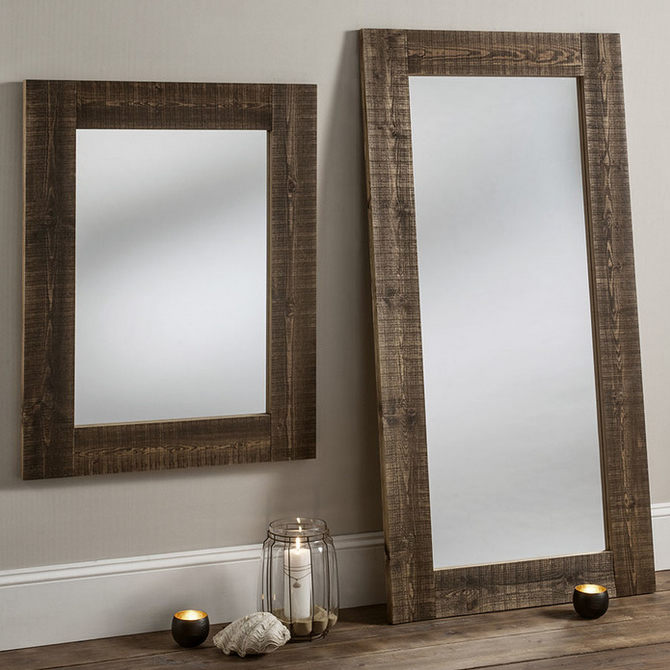 Handcrafted in a smooth and sleek dark wooden frame, this Rustic Accent Mirror by Yearn Mirrors gives the rustic look a luxurious feel. 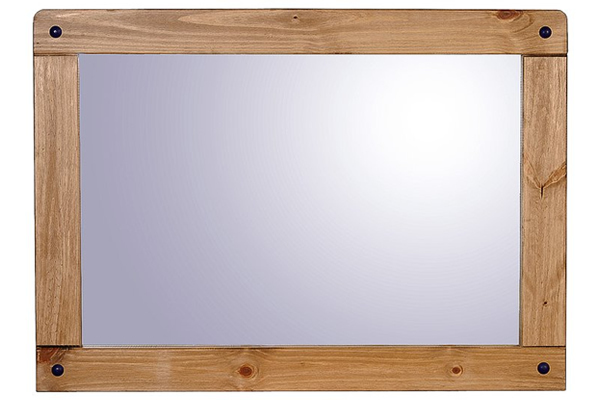 Its thick frame screams of beautiful wooden quality which is sturdy and gives the mirror a nice solid and heavy weight. Designed to be fixed to the wall, there are wall fixtures on the back of the mirror, ready for this job. This rustic wood mirror comes in several sizes ranging from 76 cm in height to a whopping 180 cm for a full body reflection. Of course, that does mean the bigger the mirror is, the more it costs. 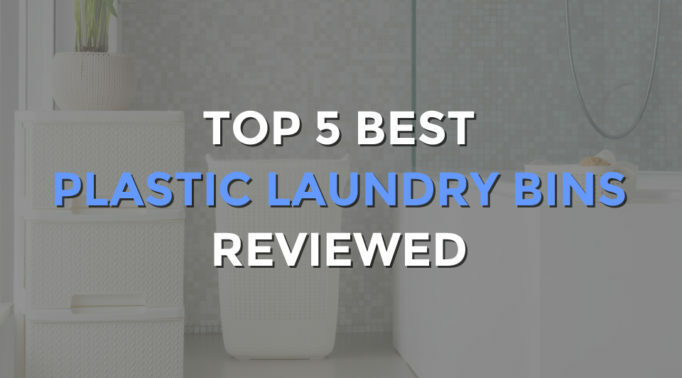 But the quality is of a high standard and if that’s what you’re after, you won’t be disappointed. 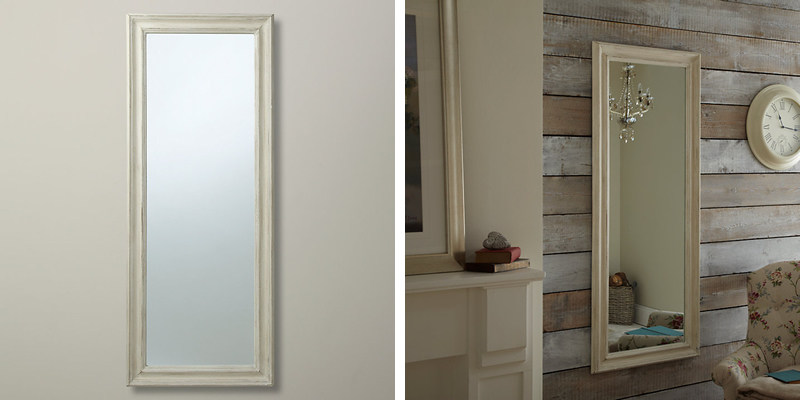 For a home without the modern touch, the John Lewis Distressed Full Length Mirror will be perfect to blend in with your existing decor. The off white painted frame gives an understated chic look without costing a fortune. Made with a thick wooden frame, this mirror is heavy so will require more than just a couple of nails but it’s worth the effort when you see how great it looks on your wall. The Louvre Distressed Mirror by Esschert Design is a true antique mirror piece. 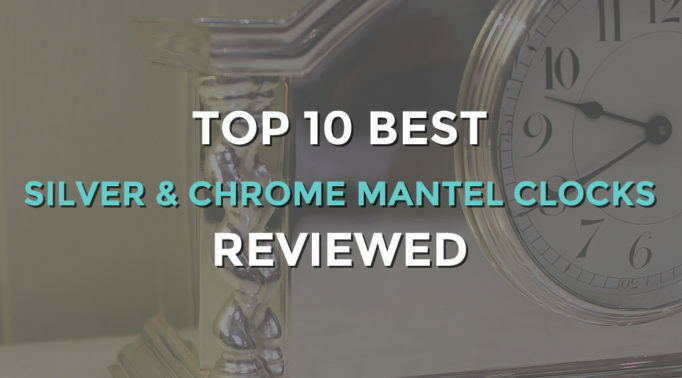 Featuring a faded and peeling blue or green painted wooden frame complete with french shutters, this makes the mirror look authentic like it’s been pulled from a glamourous mansion from the old world. The shutters opens up to a smooth glass mirror that gives a clear reflection. Although the mirror isn’t very big, it’s at a decent size of 39 x 55 cm which is enough for a full face and head reflection. This mirror is designed to be hung outdoors so it would be a beautiful place to hang in the garden or by the front door as a decorative piece. It’s one of the best rustic mirrors due to its unique style that’s eye catching and sure to surprise anyone who opens the shutters to find a mirror instead of a window. Anyone who loves the rustic style but prefers a more subtle look will be pleased that the John Lewis Scandi Cheval Oak mirror ticks that box. Designed with a slim oak frame, the style of this rustic oak mirror is a classic and doesn’t take away too much attention from where it stands in a room. This free standing mirror is large given its full length and its wooden stand is sturdy so it stays upright perfectly wherever it’s placed. Featuring a distressed effect wooden pine frame, the Rustic Corona Wall Mirror by Heartlands looks beautiful enough to suit a modern stylish home. 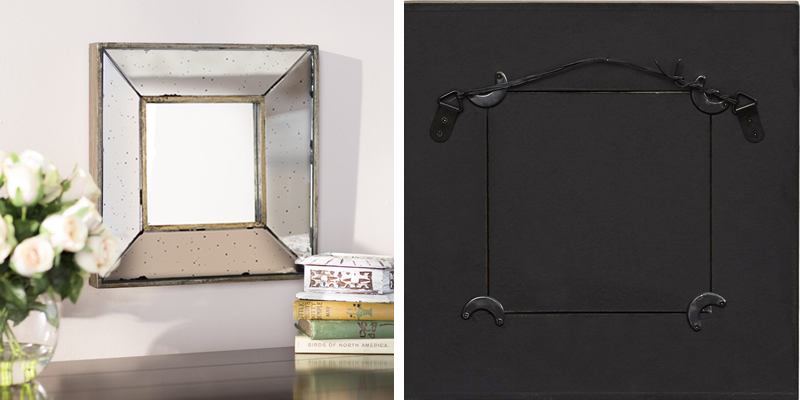 With its subtle metal button designs on the each corner, it gives the mirror its own quirky style to enhance its look. Because of this, it would even suit a nautical themed decor. This mirror is easy to hang up with its pre-drilled holes and included fixtures and will look great in the hallway with its big width of 91cm. 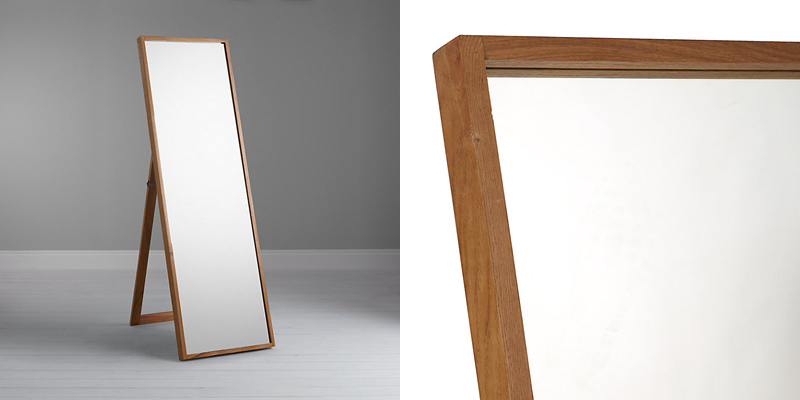 It doesn’t come cheap but the mirror is finished to an excellent quality without any rough wooden edges. For something truly unique to set off the decor in your home, the Square Wall Accent Mirror by Lily Manor is one to check out. Framed with a vintage style speckled mirrored frame, the edges of this mirror slants inwards to create a 3 dimensional effect. This gives the mirror its shabby chic elegance and at the same time, allows you to view certain angles other mirrors cannot reflect. What’s more pleasing about this mirror is that you can choose to use the centre of the mirror as a picture frame too. It can still be used as a mirror as well thanks to the edged frame. Overall, this is a pretty decent mirror as it looks great as a decorational piece and its fantastic picture and mirror combination. Encased with an aged metal frame, the Kurva Mirror by Barcelona Trading has a different shape to the usual four cornered or round mirrors. The top starts off somewhat narrow and widens as it gets towards the bottom of the mirror. It’s not too narrow at the top which is still wide enough to get your whole width into the reflection with room to spare. Each of the corners are rounded off which gives the mirror a nice finish. 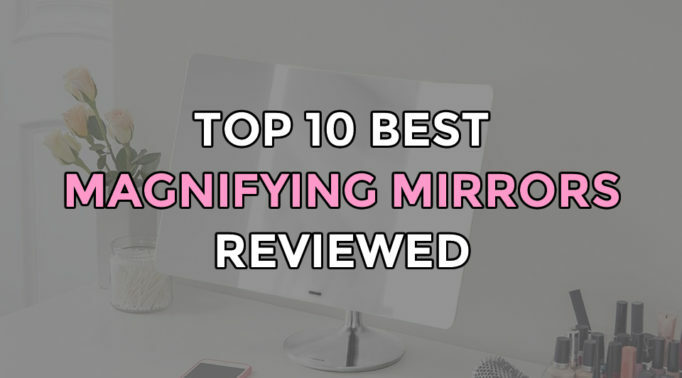 Though this mirror is pricey, it’s perfect for anyone who wants to break from the typical shape of mirrors or wants something other than the usual rustic wood mirrors. Luxurious with an old world elegance, the John Lewis Antique Glass Mirror has a beautiful metallic finished frame. There’s a lovely patch pattern on the metallic frame giving it its rustic charm which will decorate your wall nicely. With this frame, it helps to bring in more lighting to a room as it reflects off the metal which makes it ideal for a small room or a poorly lit room. It’s rectangle in shape and available in 3 different sizes of 95cm, 120cm and 150cm, there’s one to suit any size room. Complete with D-ring fixtures on the back of the mirror, it’s ready to be hung on your wall whether it’s portrait or landscape. The Raw Oak Wood Wall Mirror by Henke Mobel is one of the most authentic looking rustic oak mirrors around. Featuring a thick wooden oak frame, this mirror doesn’t need to beg for attention as it’s the first thing you will notice when you walk into a room with it in. It comes in 3 different sizes ranging from 60 cm to the full length of 180 cm. Of course, that means it’s pretty heavy so you will need more than just a nail to fix it to the wall. 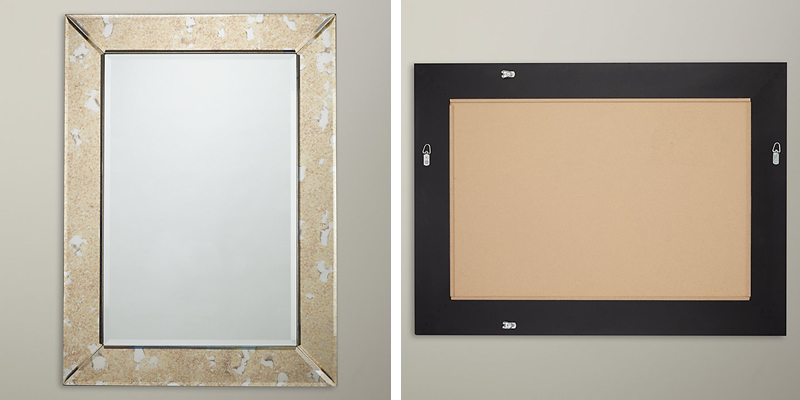 Whichever size you choose, this mirror will not fail to impress. The price is quite steep but it’s one of the best rustic mirrors for quality and style. 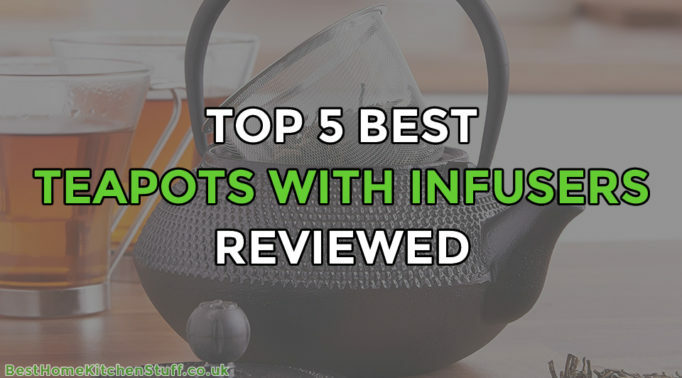 It will last you for years to come too so you’ll be making the most of your money.